I’ve been a teacher now for nearly a decade and last year I made my first attempt at incorporating coding within my curriculum. I started with a simple user friendly, learn to code site – Scratch. Scratch was developed as a way of allowing students to express themselves through stories and games, using simple puzzle-like code without the worry of having to learn a complicated programming language. There has recently been a strong focus on whether we are meeting the needs of students for their future careers, jobs that in many circumstances may not have yet been created. We live in a time where technology is putting people out of jobs rather than in them because computers/robots cost less to get the same job done. Yes, reading, writing, math and sciences are essential but more research suggests that teaching to code, especially at younger ages may be a game changer for children in more ways than one. Teaching kids to code is an indirect way of fostering their love of learning. It can help children learn to think creatively, reason systematically and work collaboratively. All of which in today’s interconnected, globalized society are essential skills needed to remain competitive and part of the larger conversation over time. Learning to code helps children better understand the world around them, how things work and are connected. So many of our jobs and occupations use code directly whether its manufacturing, web, app or game designers, software developers, the entertainment industry, or robotics engineers. Coding helps better prepare children for what lies outside of academia. Coding is essentially, program developing. It’s telling an app, website, computer or phone what to do. We have a generation of children learning how to navigate iPads and iPhones before they’ve learned to speak. It’s possible that our education system needs to meet them where they are at, finding ways to link core subjects with this new technology and way of thinking. 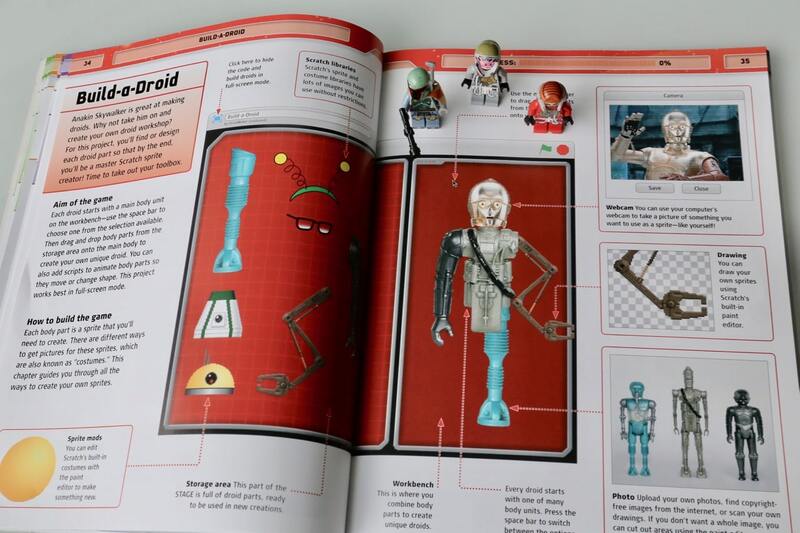 I recently used Star Wars Coding Projects (DK Publishing, 2017) in my classroom as a way of introducing coding in an easy, fun and interactive way. All that was needed was a quick introduction to the Scratch website and my students were off! Deeply focused, each group navigated and played while creating their own game, “Cargo Bay Chase” using various Star Wars animations and backgrounds. No student was off task, each treating the assignment like a giant must-solve interactive puzzle. Once complete groups exchanged creations play and brainstormed further ideas or possibilities to code. I now have a “Coding Station” within the classroom where early finishers can create Star Wars based games for their classmates to try out such as Jetpack Adventure and Asteroid Dash. I’ve heard lots of feedback from excited students, “yeah, I game all the time at home, but now I get to make one and at school!? Cool!” and “Can I go code now? I can’t believe we get to play around with video games during class time!” Little do they know they are learning and building on life’s learning skills along the way. Learning to code, doesn’t have to start in the classroom. 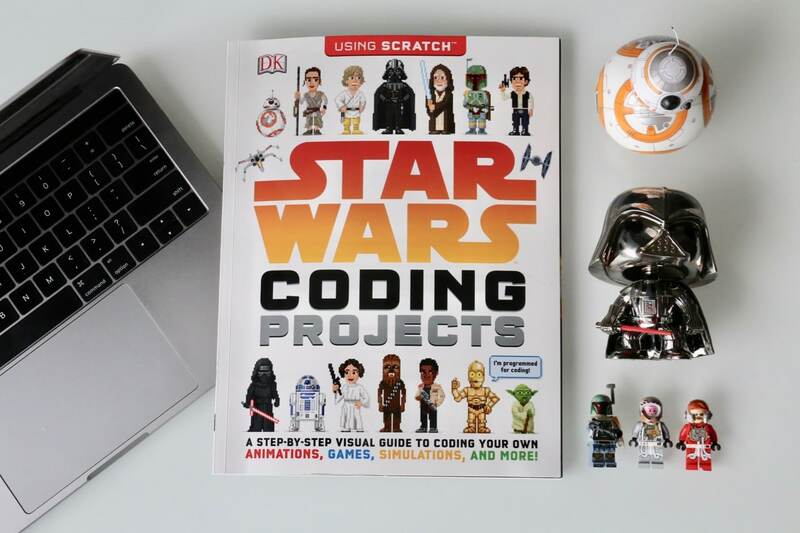 Star Wars Coding Projects is a fantastic holiday gift for kids just in time for the hotly anticipated release of Star Wars: The Last Jedi. Newbies don’t need to know anything about coding, they just need to have a willingness to experiment and make mistakes. Users learn the basics of coding with C-3PO and other favourite Star Wars characters while building six exciting games. The clear simple instructions make coding easy and fun while dodging asteroids, flying with a jetpack, to escaping enemies, secret spy missions and using the Force to move objects on screen. The book is a guide to one of the worlds most beloved block-based programming languages: Scratch. With easy to follow lessons Star Wars Coding Projects helps you learn basic coding concepts. It might feel like you’re playing a game but essentially you are developing a new way of thinking and problem solving. A great gift for Christmas that may even change the course of someone’s education, career, and life. May the Force be with you!